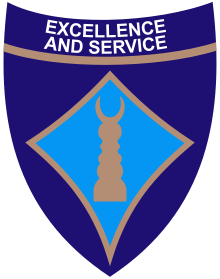 Abia State University, Uturu ABSU post UTME and Direct Entry screening exercise schedule for the 2018/2019 academic session has been released. This is to inform all the eligible UTME and Direct Entry candidates that have registered for the Abia State University (ABSU) Aptitude Test exercise that the management has released the timetable for the test. (Those that are yet to register can check the recommended link below). RECOMMENDED: ABSU Post UTME / DE Screening Form 2018/2019. ABSU Post UTME Screening Schedule. Medicine and Surgery, Optometry, Nursing, Medical Laboratory, Anatomy, Physiology, Mechanical Engineering, Electrical/Electronic Engineering, Surveying & Geo-Informatics, Computer Engineering, Information & Communication, Microbiology, Biochemistry, Industrial Chemistry, Industrial Physics, Statistics, Mathematics, Computer Science, Animal & Environmental Biology, Plant Science & Biotechnology, Edu/Biology, Edu/Chemistry, Edu/Physics, Edu/Mathematics, Edu/Guidance &Counselling, Edu/Int. Science. Eligible candidates should Log on to the ABSU portal and generate an invoice for the registration as earlier announced. The exam is first approaching what are the requirements?? Will the first and second choice screening be conducted at the same time ? can we log into our portal? what are we to bring to the exam? I have gotten my Direct entry acknowledgement slip what else do I need to do before the aptitude test. please how can we reprint the exam slip. Please do you guys have accommodation for people coming for the exam??? Pls how do we reprint ? Hi, am writing on the 11 of the this month, no time. And am coming from port Harcourt. I need direction. Thanks. Email me at nriamgboawajiellis@gmail.com.